The filing due date for 2017 Income Taxes has come and gone, but what happens if you discover a mistake or omission on your tax return? Our Pittsburgh area tax team lays out what you need to do to keep everything clear with the IRS. Our North Hills Small Business Tax Pros can help you find all of your eligible deductions and make business tax filing a breeze. Contact us today at (412) 931-1617. Don’t amend for math errors and/or missing forms. 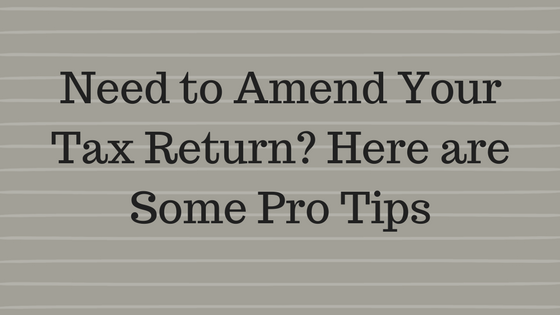 Taxpayers generally don’t need to file an amended return to correct math errors on their original return. The IRS will automatically correct these items. In addition, taxpayers don’t need to file an amended return if they forgot to attach tax forms, such as a Form W-2 or a schedule. The IRS will mail a request to the taxpayer, if needed.